There are many apps that grace the Mac and iOS App Stores that simply don’t get enough attention or admiration. Sometimes an app is so good at what it does, it becomes the default app for the task and is rarely questioned. Sometimes a new app debuts in a given category and, while it shows promise, doesn’t quite live up to our pick for the best in that category. There are millions of apps to try out on any given day, so here are three we’re trying this week. It’s been almost a month since I had a chance to highlight some of the newest apps I’m trying, and Reeder 4’s new public beta ranks right at the top of that list. At first blush, the Reeder 4 beta (here-on, Reeder 4) doesn’t look all that different than Reeder 3. But once you download the app and start zipping around, you’ll quickly notice a range of differences. 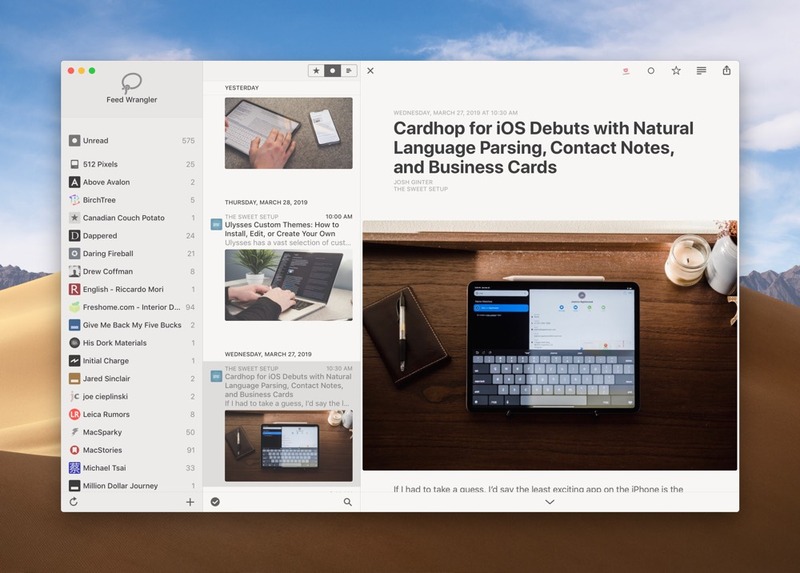 Reeder 4 is a brand new app built from the ground up and comes complete with more stability and new animations. I really like the added personality all the new animations provide, small design improvements like enlarged feed favicons, and the new automatic dark mode. Aside from the new animations, a whole bunch of design work has been dedicated to Reeder 4’s settings menu. This new settings menu sets a new standard for how settings should be displayed, changed, and selected. A significant part of the improvements in this settings menu is the pared down approach — RSS apps are notorious for having a bazillion customization features and it’s so easy to get lost in the shuffle. Reeder 4 pares down the number of customization features and the settings menu makes it easy to customize the most important pieces. Reeder 4 is set to be a brand new app for the Mac and iOS and I’m excited to test the app in the meantime. 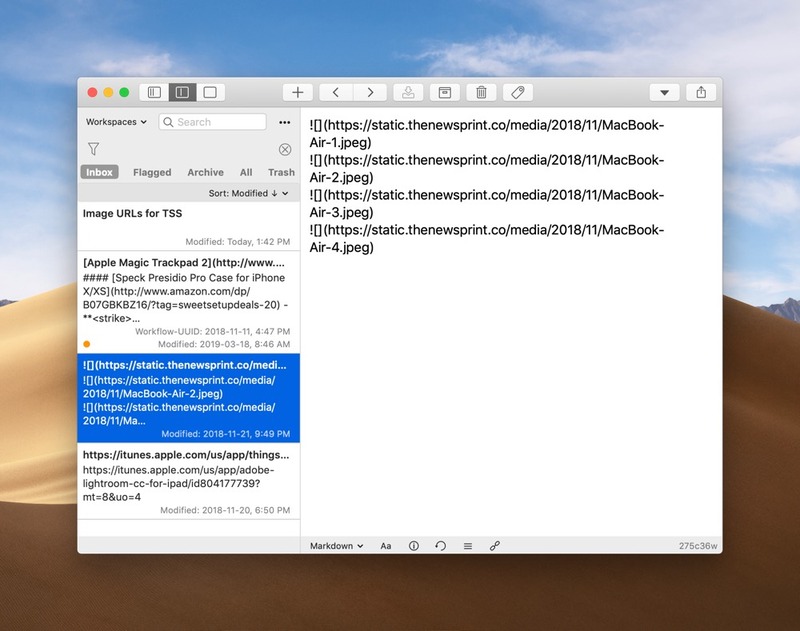 The Reeder 4 beta for Mac can be downloaded right here. 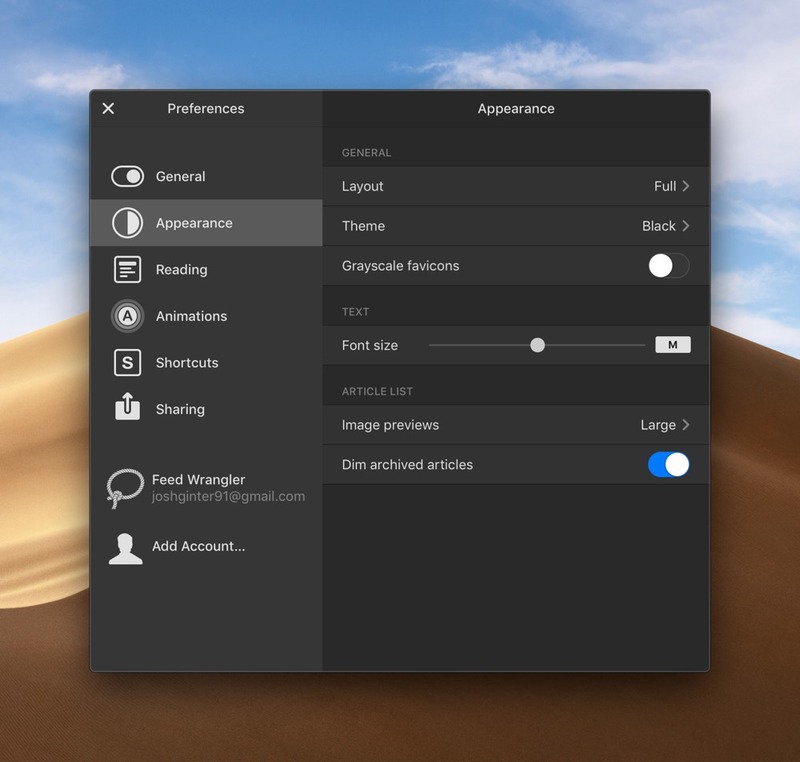 The Drafts for Mac beta was widely known about over the last few months, but the app has officially launched in the last week. 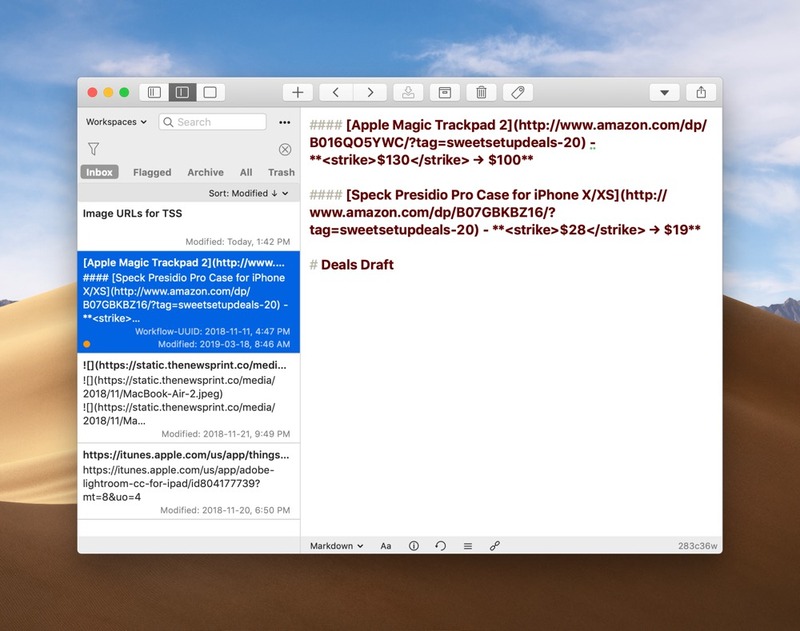 Drafts for Mac brings the popular text silo app from iOS to Apple’s desktop platform and promises to introduce impressive automation in the future. Drafts on iOS is an automation king — you can drop text into a draft on iPhone or iPad and use an app like Shortcuts (or iOS’s background URL scheme) to manipulate the text in that draft, share it in another app, and more. I use Drafts on the iPad for automating text with Shortcuts all the time — things like generating affiliate URLs or image URLs from WordPress work exceptionally well with Shortcuts and Drafts. But moving that text onto the Mac has always been a bit tricky. 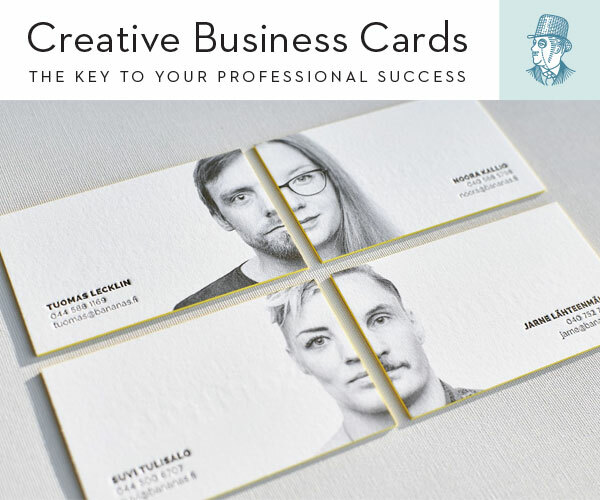 The universal clipboard is helpful, but if you need more than a clipboard, you may be stuck saving a text file to iCloud Drive and opening the file on the Mac. With Drafts for Mac, you can now quickly sync your iOS drafts over to the Mac, eliminating a few steps in the workflow. Drafts for Mac is a powerful app, but it’s currently knee-capped in comparison to its iOS version. (Such a rare thing to say — the iOS version of the app is significantly more powerful than the Mac app at this point.) As of right now, Drafts for Mac does not have automation and quick actions like Drafts on iOS. These features are incoming in the future, so for the time being, it looks like you should drop text into Drafts for Mac, sync to Drafts for iOS, and complete actions and automations on iOS. Drafts for Mac is a free download on the Mac App Store. 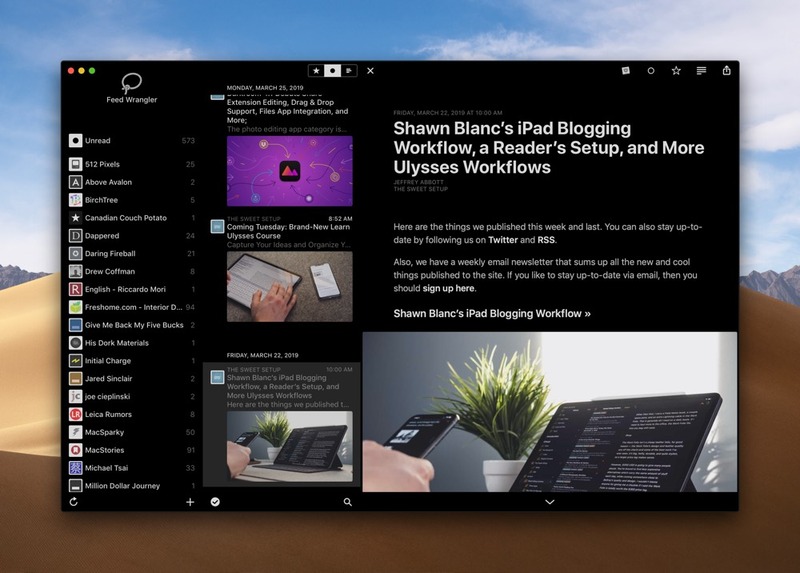 A Drafts Pro subscription unlocks themes, workspaces, and other features. Thursday was the best day of the year: MLB Opening Day. And with Opening Week in full swing, there’s no better professional sports streaming service than MLB.TV. An MLB.TV subscription nets you the ability to watch any out-of-market game on demand on just about any device. I have MLB at Bat installed on the Apple TV and iPad Pro, but it’s in its most powerful form in the browser on the Mac. Each platform has its strengths, and if you’re a big baseball fan, you may consider watching on all your devices at once. The iPad is an analytics fan’s dream. You can watch a game with both lineup cards and boxscores overlaid, as well as pitch trackers and more. And with iOS’s Picture-in-Picture feature, you can watch any game while working in two other apps in Split View. On the Mac, you can watch up to four games at once, with a boxscore and current stats displayed at the bottom of the window. And on the Apple TV, you can stream two games at once, again with stats overlaid throughout your view. If you’re a viewer who thinks baseball needs to speed up, try watching four games on the Mac, two games on the Apple TV, and one game on the iPad while keeping up with statistics. The game moves way too quickly for that. An MLB.TV subscription isn’t cheap. 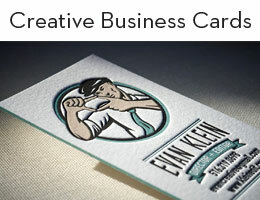 It’ll run you $25/month or $120 for the baseball season. 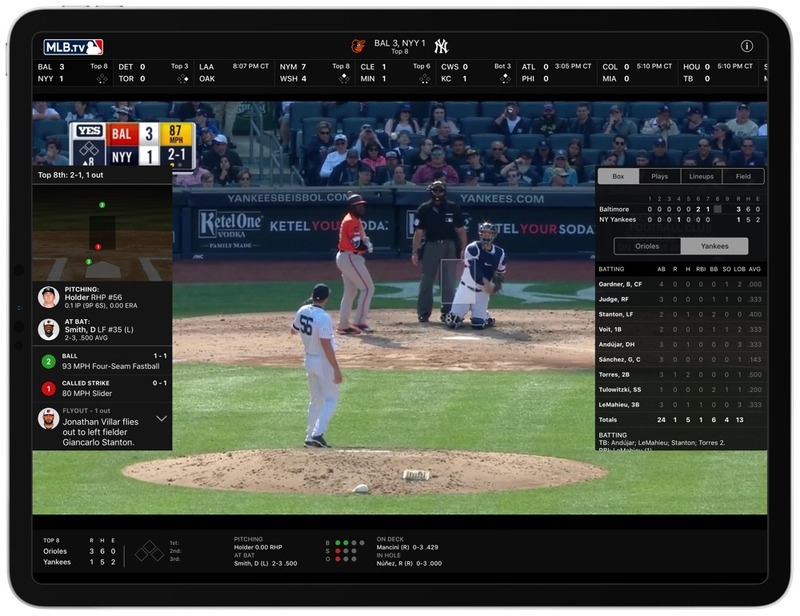 But MLB.TV is the premier professional sports streaming service available — $25/month is a great deal if you’re a baseball fan eager to watch the game’s best players on both coasts. You can download MLB at Bat for iOS and Apple TV on each respective App Store. 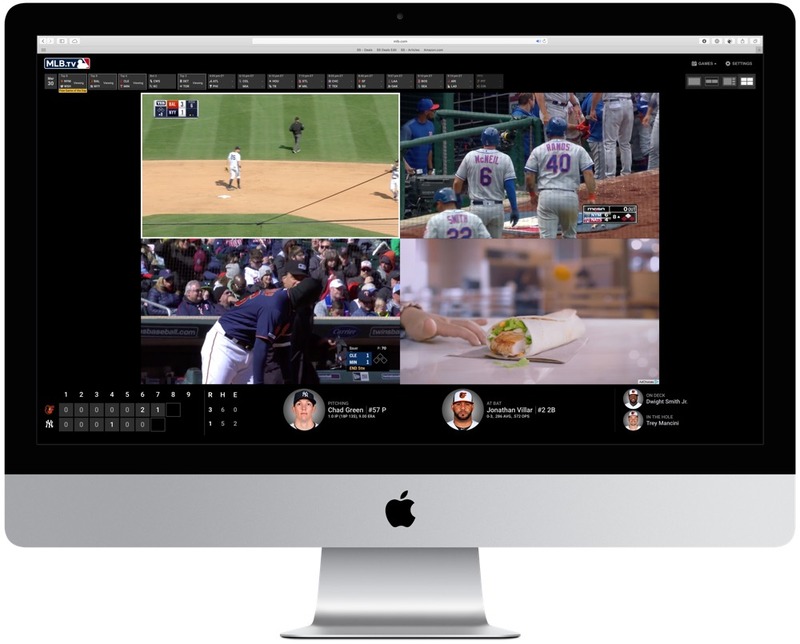 You can stream games on your Mac at the MLB.TV site. An online course to help you save time, organize your notes, and master the best writing app for Mac and iOS: Ulysses.